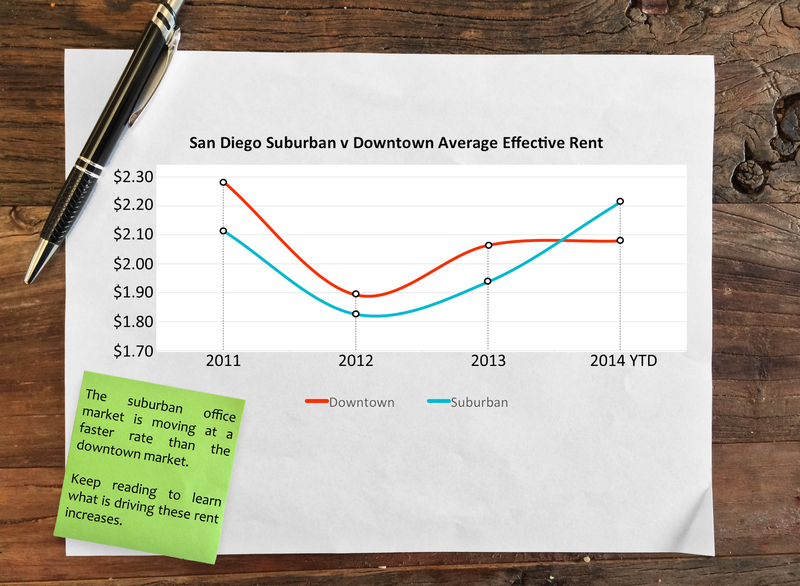 According to CompStak, effective rents in the San Diego office market have risen for the second consecutive year in 2014, surpassing $2 PSF for the first time since 2011. However, for the past four years, landlords have also rewarded tenants with higher concession packages, now reaching about 18% of the deal value. According to CompStak, the suburban office market seems to be moving at a faster rate than the downtown market. While both markets remain very close in overall effective rents, a surge in Class A rates in 2014 has resulted slightly higher effective rate for the suburban market - currently at $2.21 PSF. CompStak is a free lease comp exchange for brokers, appraisers and researchers, and you can click here to request an account.